LG awarded Preferred Vendor status from fitness operator across more than 850 facilities. LG Electronics USA Business Solutions is bringing its popular commercial display technologies to more than 850 Snap Fitness locations throughout the United States. Snap Fitness, one of the world’s largest fitness operators with 1400-plus facilities globally, just awarded LG “Preferred Vendor” status. LG will help fuel the future of fitness at Snap Fitness locations by enhancing the entertainment experience, improving member engagement and providing after-sales service. Snap Fitness will offer LG 55-inch LV340H and 65-inch UU340C TVs to their franchisees. Each display provides superb image quality and an optimal viewing experience with unparalleled service and support, including extended warranties, 5 Star Preventative Maintenance, dust and humidity protection and Power Saving Management. 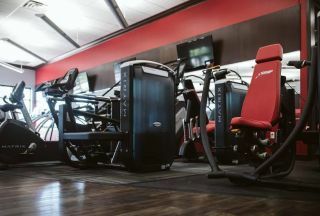 Snap Fitness will also use select LG displays to showcase the Myzone technology, which monitors customers heart rate to give instant feedback about how many calories they are burning and how hard they are working out. LG Electronics also offers a diverse range of other digital displays and commercial TVs that provide an immersive and interactive fitness experience. With video walls, monitors, sound bars and large 4K displays perfect for group fitness spaces, LG offers turnkey solutions for nearly every aspect of the fitness facility experience, helping to communicate messaging, branding, class schedules and advertising. LG is set to expand its presence in the fitness industry while continuing to drive leadership and innovation within the digital signage industry.